FabLab Factory is a company that offers services and equipment for schools, organisations and companies that want to start a makerspace.FabLab Factory is founded by Stijn De Mil, who founded FabLab Brussels in 2011 (a fablab jointly operated by the Free University of Brussels and the Erasmus University College of Brussels), and FabLab Erpe-Mere in 2014 (the first FabLab@school in the BeNeLux). 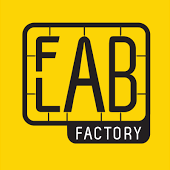 FabLab Factory will take up the role as coordinator for the FabLabs and work package leader for WP3. FabLab Factory will also distribute the 3D printers and electronic components for the workshops to the associated fab labs.FabLab Factory will further be involved in the development of workshops and a Challenger project, in the gender action team, and in the roll-out and dissemination activities of the project. FabLab Erpe-Mere: With a group of volunteers we organise STEAM-club activities, Make-a-thon’s, Christmas-, Easter- and Summercamps for kids between 8 and 14. Per year we reach out to 1500 kids with these activities. STEM + Arts. In this research project from the Artevelde University College of Ghent we will define a vision for STEAM tuned to the specific learning objectives in the Flemish formal primary and secondary education. FabLab Factory has both a static and a mobile fablab with all the equipment needed to develop and test the different workshops and challenger projects.